Maybe you’re tired of the the ticker. Or the timeline. Maybe it’s because your parents constantly check your profile. If it’s not any of these then you’ve probably had it with the constant stream of ads that are specifically tailored to target you. Because let’s face it: we are a bit tired of Facebook. It’s time to unlike them and chose a different social media platform. According to their website you should join as it is “fun, friendly and free!” and currently boasts more than 90 million users MeetMe is different from Facebook in the sense that it is a place to meet new people rather than staying in touch with friends you already know. MeetMe was founded eight years ago under the name myYearbook by two students. On the site people use a virtual currency with which they can send gifts to each other: lunch money. You can earn lunch money by playing Flash games on the site. On MeetMe you’ll find the chance to instant message your new friends, ask them to rate your appearance and play games like truth or lie. Nextdoor is a social network platform that specifically targets a special geographical area. Their website informs us that “when neighbours start talking, good things happen.” You will be able to only get in touch with people that live really close to you. Upon registering you need to fill in your address. Once this is done you’ll get a list of people living nearby who are also using Nextdoor. The website hopes to build a stronger neighbourhood by helping neighbours connect so that they can inform each other and share local information. This will not come as a surprise to many, but the best alternative to Facebook is Google +. G+ is the second biggest social network site in the world. With 500 million users, it surpassed Twitter in January this year. Where you share with your friends on Facebook, on Google + you share with your circles. The most striking feature is Google hangouts: a place where you can invite people from your circles to join a video chat. Other features are games and instant messaging. In a ‘community’ you can invite people to share information as you would do with a group on Facebook. Users can see what plussers talk about most in the ‘what’s hot’ section. 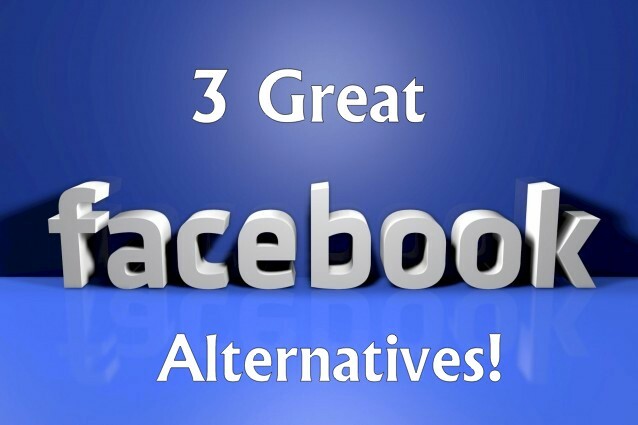 These are some Facebook alternatives that are definitely worth checking out. Do you know which one you want to sign up on next? This guest post is written by Rens van der Windt, a digital marketing executive from London. One of his clients is Intralinks more than a VDR, a secure document storage provider.